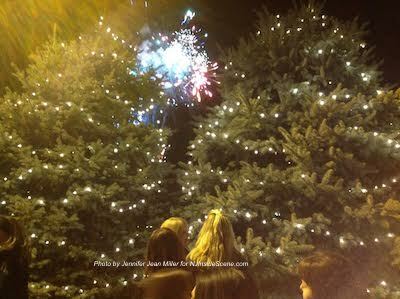 Fireworks paint the sky behind the lit trees at Newton Medical Center's Festival of Lights. Photo by Jennifer Jean Miller. 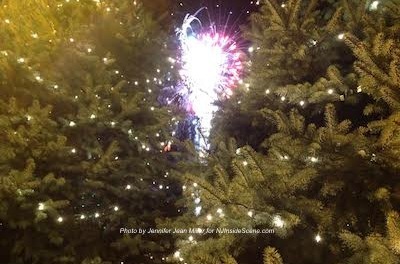 NEWTON, NJ – Hundreds of area residents had the opportunity to enjoy the Newton Medical Center’s annual Festival of Lights on Saturday, Nov. 15. The tree and gift display at the front entrance. Photo by Jennifer Jean Miller. 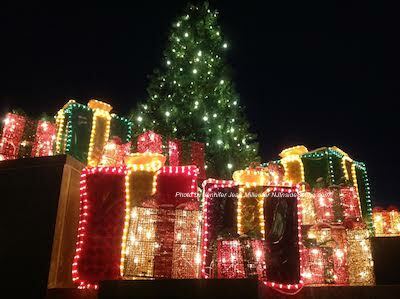 The yearly event is sponsored by the Smith-McCracken & Wood Funeral Homes, and was started 23 years ago when C. Edward McCracken wanted to brighten the lives of patients during their hospital stay. 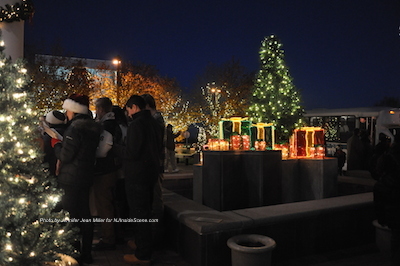 The first festival, and all following, have been focused on lining the medical center’s entrance with white lights to add holiday cheer for patients and their families. 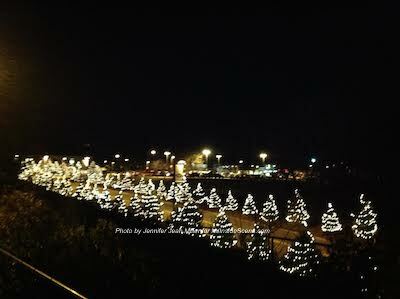 Lights lining the medical center driveway. Photo by Jennifer Jean Miller. Trees lining the driveway. Photo by Jennifer Jean Miller. 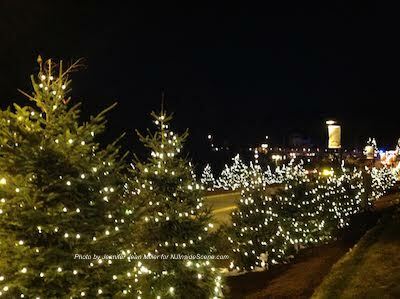 Donors can sponsor a string of lights on the trees, the light display on the fountain, and the holiday wreath. 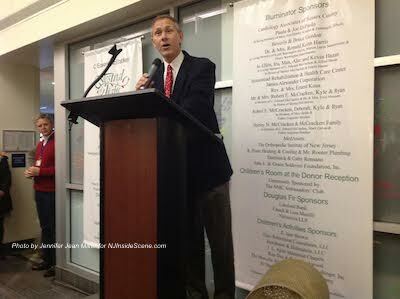 All sponsor proceeds from the Festival of Lights benefit the Newton Medical Center Foundation. 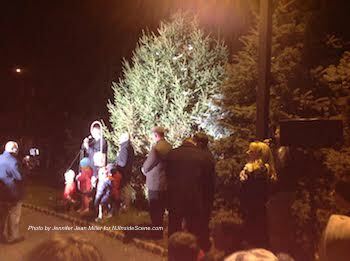 This year’s Festival of Lights was dedicated in memory of Mary Quinn, and a Norway Spruce was dedicated in memory of Fr. Augustine Hinches, who donated trees from the Abbey, for the first Festival of Lights. The event hosted a variety of crafts for the youngest attendees, and balloon art, as well as a visit from Santa. There were cookies, hot cocoa, cider and freshly popped popcorn. In the medical center lobby, there was a donor reception, and then members of the public enjoyed cheese and crackers, and fruit and vegetable platter items to snack on. 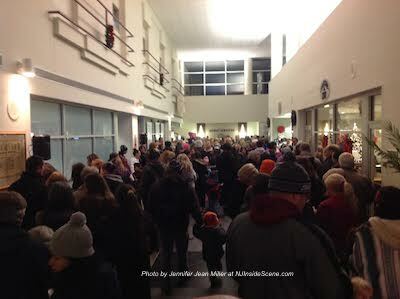 The crowd packing the medical center lobby. Photo by Jennifer Jean Miller. 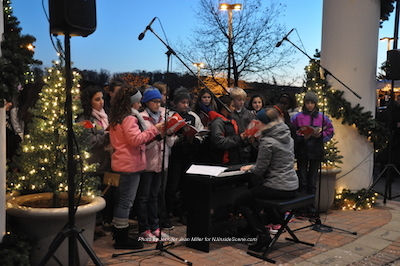 Choirs from the Halsted Middle School, Pope John High School and Newton High School spread holiday cheer in front of the medical center through song. Jim Ferguson (left) introduces the Halsted Middle School choir group. Photo by Jennifer Jean Miller. Halsted Middle School singing. Photo by Jennifer Jean Miller. Singers from Pope John. Photo by Jennifer Jean Miller. 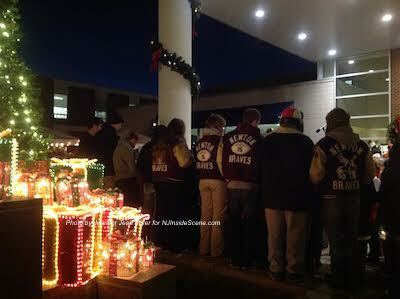 Newton High School singing at the front entrance of the Newton Medical Center. Photo by Jennifer Jean Miller. 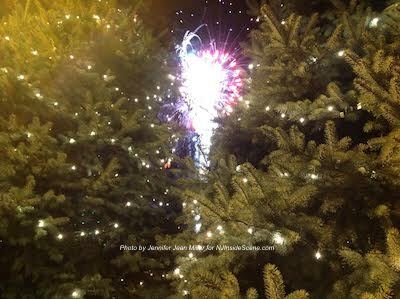 The event concluded with the lighting of the trees, followed by a massive fireworks display, which the Emergency Physicians of Newton Medical Center sponsored. Readying to light the trees. Photo by Jennifer Jean Miller. Spectators watching the fireworks display through the trees. Photo by Jennifer Jean Miller. 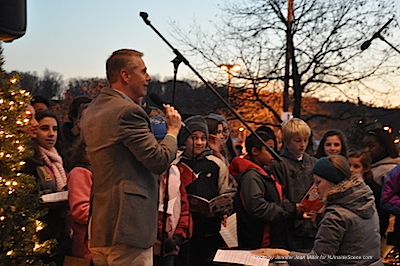 Jim Ferguson, Director of Community and Donor Relations at Newton Medical Center, remarked as the trees were lit that this year’s event was the largest yet. “This might be the biggest festival of lights in our history,” Ferguson said. 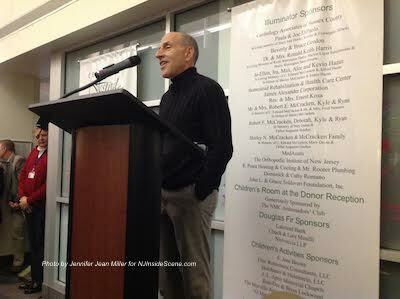 Joe DiPaolo, the President of Newton Medical Center said of the evening, “It’s one of those events that’s going to go down in history in Sussex County,” noting especially of the unique outpouring of members of the community to the medical center, for an event completely unrelated to coming to the hospital grounds for a health reason. 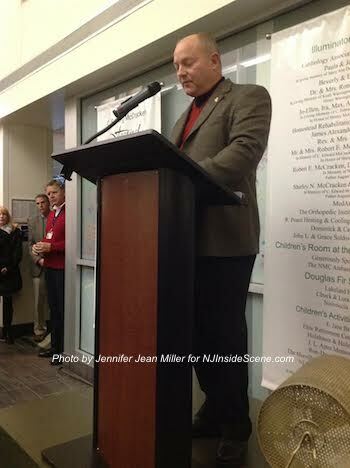 Joe DiPaolo, Newton Medical Center’s President. Photo by Jennifer Jean Miller. Randy Parks, Chaplain at Newton Medical Center gave the invocation prior to the lighting. Randy Parks, Newton Medical Center Chaplain. Photo by Jennifer Jean Miller. 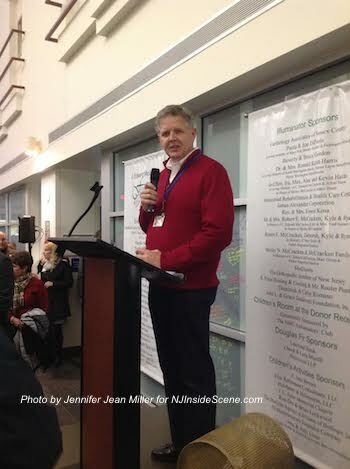 Michael Holenstein, Festival of Lights Co-Chair spoke about the special notice given to Quinn’s dedication to the community. He remembered Quinn as a child actively involved in volunteerism. Like Quinn, Holenstein is a veteran. Quinn, who passed away in June at age 93, served in the Navy in World War II, and clocked in more than 20,000 hours with the Medical Center’s Auxiliary, as well as other non-profit groups in the area. He said Quinn’s volunteering within the county dates back to the early 1950s. Michael Holenstein, photo by Jennifer Jean Miller. 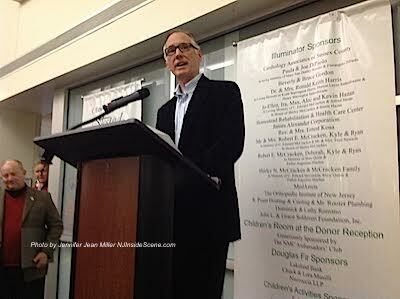 Dr. Robert Masci, photo by Jennifer Jean Miller. 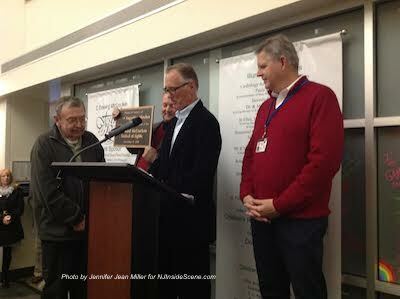 Bob McCracken took to the podium to present a plaque in memory of Hinches. Bob McCracken, photo by Jennifer Jean Miller. The plaque presentation. Photo by Jennifer Jean Miller. Stay on the scene with NJ Inside Scene, and click here to follow us on Facebook.